Who is the Ink Unlimited Credit Card for? Decision Time: Is Simplicity What You’re Looking for in a Business Rewards Card? Having access to an exceptional business credit card can really make a difference for your company. You need to be able to fund purchases in an easy way to make things simple. A business credit card with good features can actually wind up rewarding you for the purchases that you have to make anyway. This is why most businesses take getting a new business credit card so seriously. If you’re looking for the simple way to earn 1.5 Chase Ultimate Rewards points for every dollar spent, the Chase Ink Business Unlimited is the card for you. If you’ve been looking into getting a new credit card for your company, then you might want to consider the Chase Ink Business Unlimited credit card that Chase is offering. This is the business version of their popular Chase Freedom Unlimited card and it is becoming very prevalent due to its desirable features and how simple it is to use. 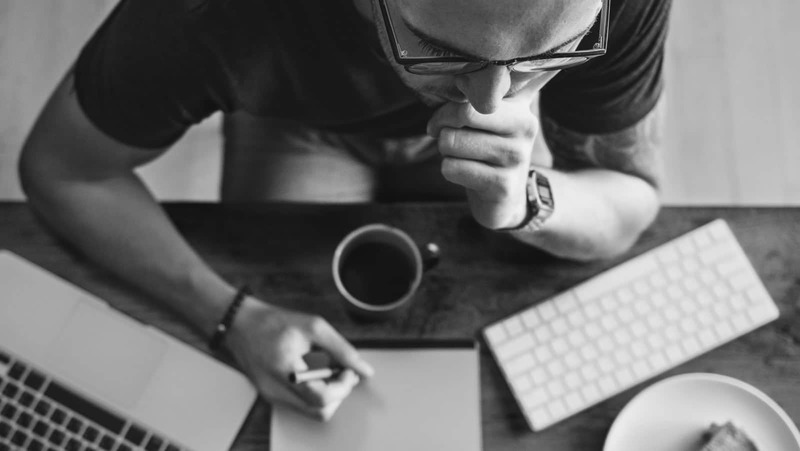 Before you make the decision to apply for this credit card, it is important to determine whether or not it is right for you and your business. Digging into all of the important details will give you the information that you need to make the right choice. Of course, when it comes to signing up for a new credit card, you want to know about any prices and fees right away. One of the most appealing aspects of this card for any small business owner is that it has no annual fee. This makes it easy to make use of this card without having to worry about paying out money for the privilege. This is great news for anyone who is looking for a new business credit card that is cost effective. It is not all good, though. One negative thing about this card is that you are going to have to put up with foreign transaction fees. Depending on how your business is structured, this will either not matter at all or it will be a big deal. Keep this in mind when you are making your decision about this card, as the fees are a bit of an inconvenience for some. Otherwise, all of the fees are very much in line with other small business credit cards. This comes in as a very good option due to the lack of an annual fee. 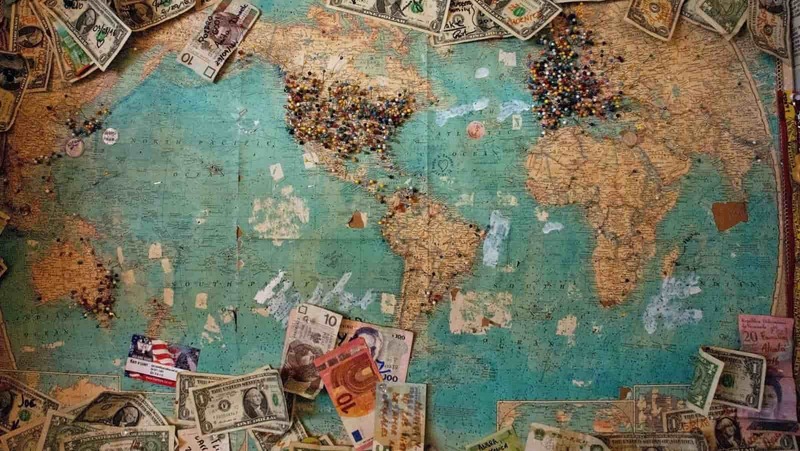 If you do not do business outside of the country often, then the foreign transaction fees will not wind up being too much of a problem for you. Consider all of the factors and determine if these prices and fees will work for you. The Chase Ink Business Unlimited card is fully featured like most of the credit cards that the Chase brand offers are. If you are looking for a high-quality credit card that will be convenient for your small business, then you have come to the right place. This credit card is aimed to be simple to use for any type of small business owner. One of the primary features has to do with keeping the reward structure simple and convenient for everyone. There are many rewards cards on the market that are very complicated. Sometimes, business owners do not have the time to micromanage every little aspect of their rewards points. If you consider yourself to be a busy professional, then the features of this card will really appeal to you. It offers you a rewards structure that is simple enough to be practical for the busiest of individuals while also giving you great flexibility. For example, this credit card can be paired with higher tier Chase rewards credit cards if you have them. This gives you the potential to increase your rewards points and to maximize your rewards potential. You do not have to do this to have a good experience with this card, but it is a helpful feature that some will love. The rewards are going to come in steadily no matter what and your card will always be helpful to your business. Another positive feature is that this card lacks any type of spending categories. This really does help you to keep things simple and you won’t have to worry about how you are spending your money. A flat rewards rate across all types of purchases will appeal more to certain businesses. If you spend your business funds on a variety of different services, expenses, and goods, then this card likely makes sense for you. There are several good perks that you will be able to take advantage of when you sign up for this credit card. Purchase protection is one of the benefits that you will likely get a lot of mileage out of. This is a standard benefit that covers your purchases within the first 120 days in case of theft or damage. You can claim up to $10,000 on an individual claim and are allowed $50,000 of claims per account. You will also find that many warranties of US manufacturers will be extended for you when you hold this card. There are many eligible warranties that can be extended just by using this card. Having products that are within warranty for an extra year at no additional cost can be a really great thing. This is a benefit that flies under the radar, sometimes, but it is actually exceedingly useful for small business owners. Renting a car for business purposes will be easier with the help of this credit card, too. If you want to do so, you can decline the rental car company’s collision insurance and just use the insurance of this card. It is going to give you primary auto rental collision damage coverage that will work out nicely. You will be covered by your card completely up to the cash value of the car in case the car is stolen or damaged in some way. One last important benefit is that you can have employee credit cards issued at no additional cost. If you need to hand out credit cards for your employees to make important purchases on behalf of the business, then this will be very handy. You can avoid extra fees and get the credit cards that you need into the right hands. You can give them purchasing privileges that are equal to you or set up a spending limit on certain cards. The rewards program for the Ink Business Unlimited credit card is simultaneously simple and robust. The first thing that you should know is that this rewards program lacks any type of bonus spending categories. 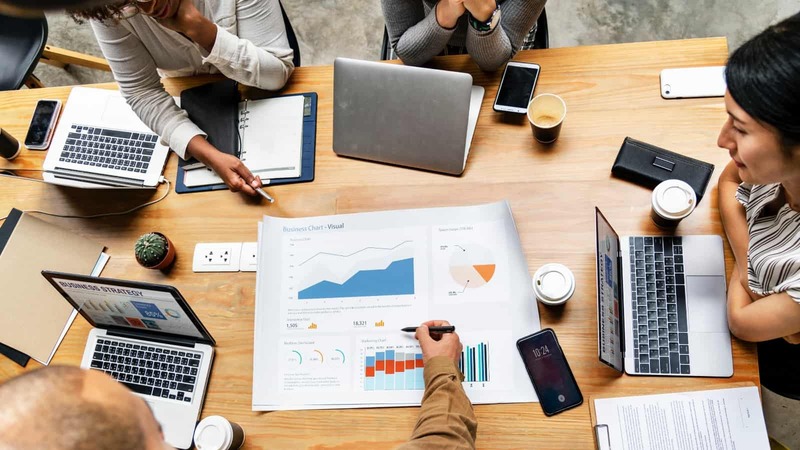 This is preferable for many people, as they do not always want to have to stick to certain types of spending to feel like they are using the business credit card to its full potential. You will be getting a flat rewards rate no matter what types of purchases you are making. This card has a flat cashback rewards rate of 1.5% and it works on everything. You will not need to be concerned about bonus categories or anything of that nature. It allows businesses to simply use the card as they see fit and the rewards will come in naturally. The reason that this program is still considered to be robust is that it has the potential to be paired with other high tier Chase rewards cards. If you have a Chase Ultimate Rewards credit card, then this credit card can be paired with it. If you choose to forego getting the cashback reward, then you can transfer it to points and wind up earning a higher rewards rate. This is not necessary to enjoy using this card, but it is an option for people who use multiple Chase credit cards. Knowing that the cards can pair could make this credit card a more attractive option for some business owners. Even when you are just using the standard card, you will be able to redeem your rewards in several ways. The most common and appealing way is to receive your 1.5% cash back on your card. It is also possible to receive the money in the form of gift cards or through other services offered by the Chase rewards program. It will always be simple to use your earned rewards and they can help your business to thrive. One of the biggest pros of this credit card is just how simple it is to use. This is a credit card that aims to keep things easy for busy business owners. You do not have to be bothered by the cumbersome rewards structures that some other business credit cards use. This has an easy to understand flat cashback rate on all purchases. Being able to pair this card with higher tier Chase rewards cards, if you want to, is a great feature. It gives you the potential to earn more rewards but also allows you to keep things simple. This card can be versatile for your business and it will always be capable of earning you rewards on purchases. There are no rewards earning limits or anything of that nature. To add to this, you will not be paying any annual fees. Being able to save money by not worrying about fees such as this will be useful to your business. A card with such a great introductory offer with no annual fee is rare. Combine all of the above with the good benefits of this card and you have a very attractive business credit card that will appeal to many businesses. You will be able to run your business smoothly when you have access to a high-quality credit card such as this. It really does work nicely to make your small business experience easier. Even aspects of this card such as purchase protection and extended warranties go a long way toward helping your business out. The only negative thing about this card that is undisputed is that the foreign transaction fees can be a pain. You will be paying a three percent fee on foreign transactions and this could hurt your bottom line. If you regularly do business outside of the country, then this card might not be optimal. It just depends on your situation and whether you are comfortable with this fee percentage. Aside from that, some people will note that there are business credit card options out there with a slightly higher cashback rate. If you are looking for the highest possible flat cashback rate on a credit card, then you may want to turn elsewhere. This is still a card with a good rate, but it is not at the very top of the heap. Many people choose this card due to the Chase affiliation making it possible to earn higher rewards by being paired with other cards. Certain businesses will lament the lack of spending categories, too. This means that you will not be earning any special bonuses for using your credit card in certain categories. 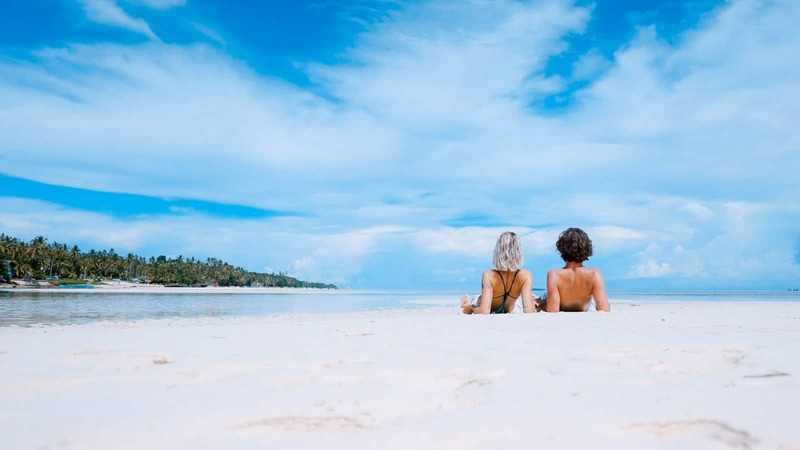 If your business spends a lot of money on travel, then you might be better off seeking a travel rewards credit card for your business. This is going to appeal more to businesses that don’t want to worry about bonus categories, but that won’t be optimal for every business out there. To be approved for this credit card, you are going to want to have a good credit score. A score of 690 or above should give you very good odds of being approved. You also need to be a qualified small business owner to get this card. Many types of business owners will qualify, so it should not be overly difficult to get this credit card if your business meets the standards. Note that even freelancers are considered to be small businesses by many standards. If you meet the credit standards and feel that your small business should qualify, then it will be worth applying for the card. It is a good credit card that can help your business to earn steady rewards while having access to proper funding. It is not overly difficult to get this card, but just check your credit score before applying to ensure the best results. This credit card is going to appeal to small business owners the most. Any small businesses that want to have a streamlined business rewards credit card will enjoy this. It offers a simple rewards structure that is perfect for busy professionals who just want something that works. You can make use of this credit card to its full potential rather easily and it offers many positive features. A credit card such as this is also going to work well for anyone who has other Chase credit cards. If you have been using Chase credit cards for a long time, then you may have access to one of the higher tier rewards cards as well. You can pair this card with those higher tier rewards cards if you want to. This can allow you to earn higher rewards rates and will prove to be a selling point to many loyal Chase customers. Perhaps the most practical alternative to consider is the Capital One Spark Cash for Business credit card. This is a comparable card that has some advantages that will appeal to you. The most obvious benefit is that this card offers a two percent cash back rate on all purchases. It also has a good signup bonus that can help cardholders to earn an increased reward within the first three months. There are some drawbacks to this card too, though. You will have to pay an annual fee if you decide to make use of this credit card as an alternative. The first year’s annual fee is waived, but you will be paying $95.00 per year after that. Either way, this is a good credit card that is comparable to the Chase Ink Business Unlimited credit card in most ways. 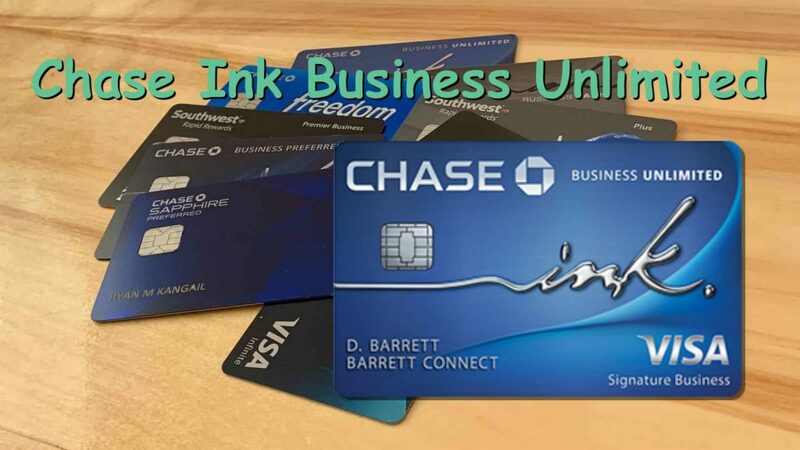 The Chase Ink Business Unlimited credit card might be the best option for your business. Depending on your expectations, you will be able to make good use of this credit card in many ways. This will give you a good flat cashback rate and is always going to be simple to use. Any businesses that need a reliable card will find this one to be up to par. Pairing the card with other Chase credit cards can be beneficial as well. If you already do business with Chase, then the value of this card becomes even higher. If this will be your first and only credit card, then it will still be helpful for your business. It offers steady rewards and a convenient structure, so do not hesitate to sign up if you are in need.